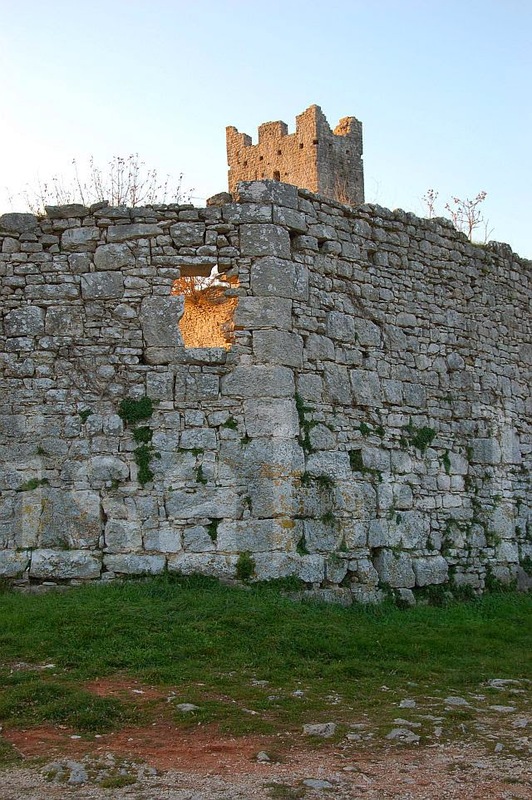 Following my previous posts on the charming Istrian hill-top towns of Oprtalj and Završje, today I’m taking you to Dvigrad. Maybe I should call this series ‘Istrian ghost towns of times past’ because these old, dilapidated medieval towns seem to have more resident cats than people! 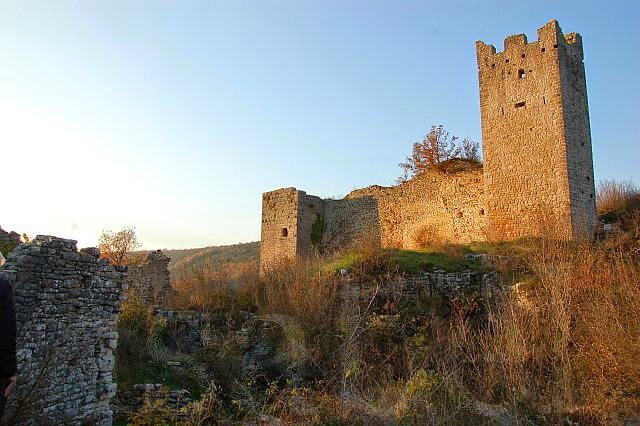 But Dvigrad is a true ghost town because it has no inhabitants all at. 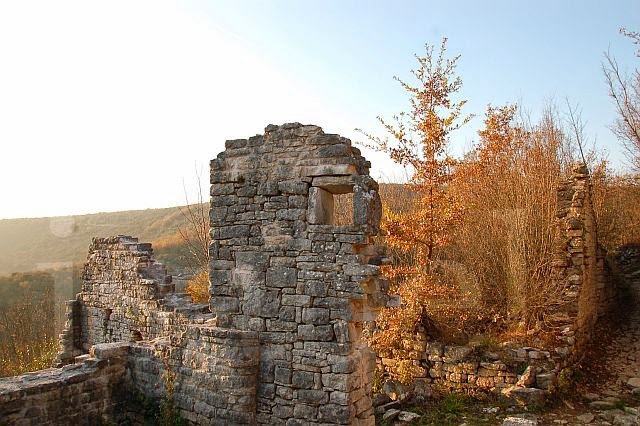 Dvigrad is completely abandoned, and like other Istrian ‘ghost towns’ I’ve featured here, it is also going through a restoration process. 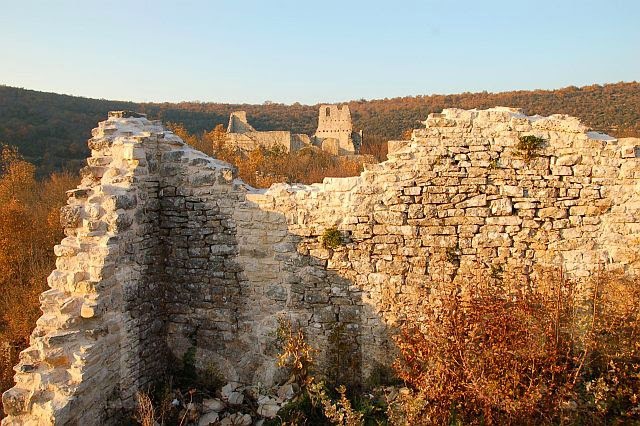 Dvigrad (which literally means ‘two towns’) was ravaged by the bubonic plague in the 17th century during which most of its 700 inhabitants died. The town was eventually abandoned by its last three remaining families in the early 18th century. 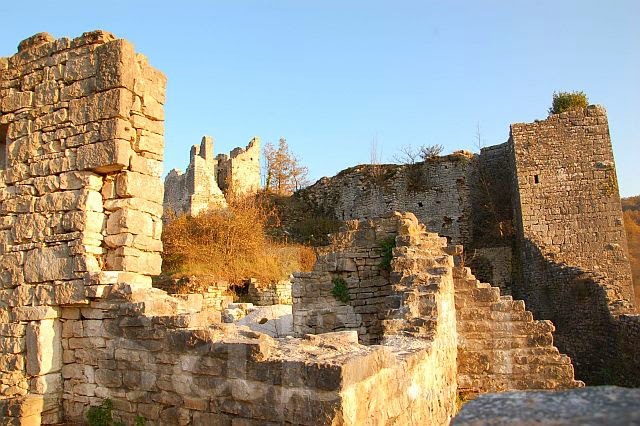 Today only the stone ruins of Dvigrad remain in a beautifully scenic and peaceful setting on a hillside rising 150 metres above sea level. 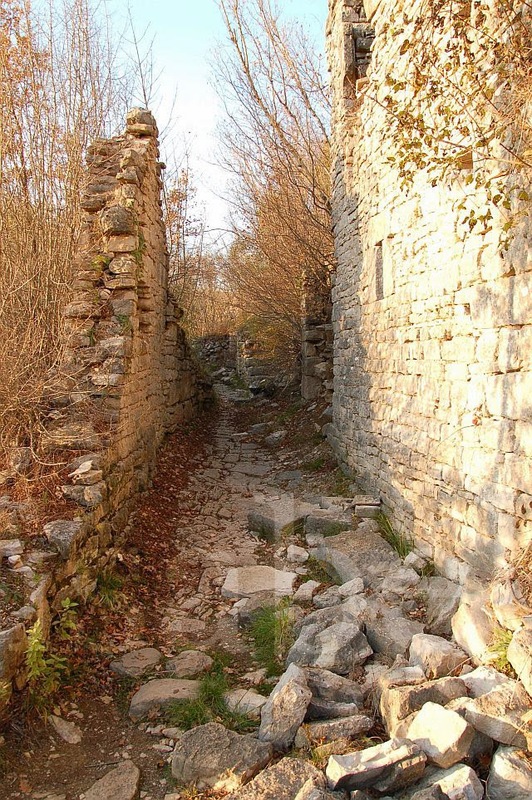 The ruins are visible from the Kanfanar-Rovinj road as well as from the Ipsilon highway. 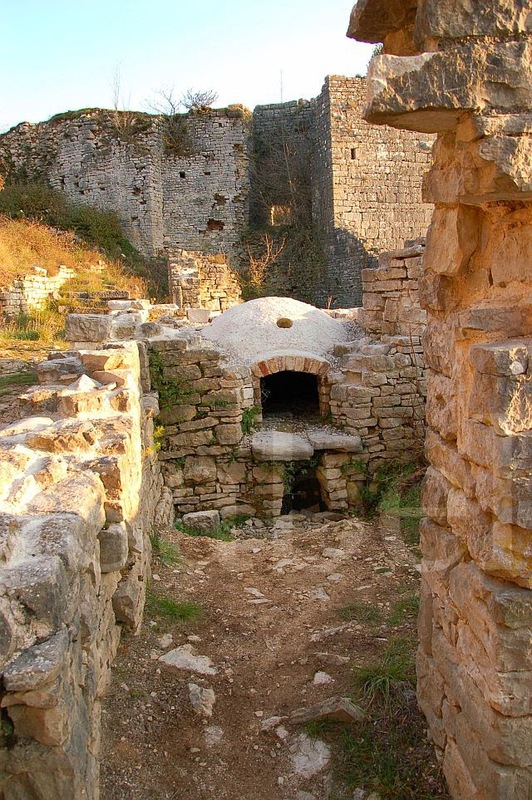 Dvigrad is located very close to Kanfanar and easily reachable from Rovinj. When I visited in November, some parts of the town were inaccessible due to the ongoing restoration work. 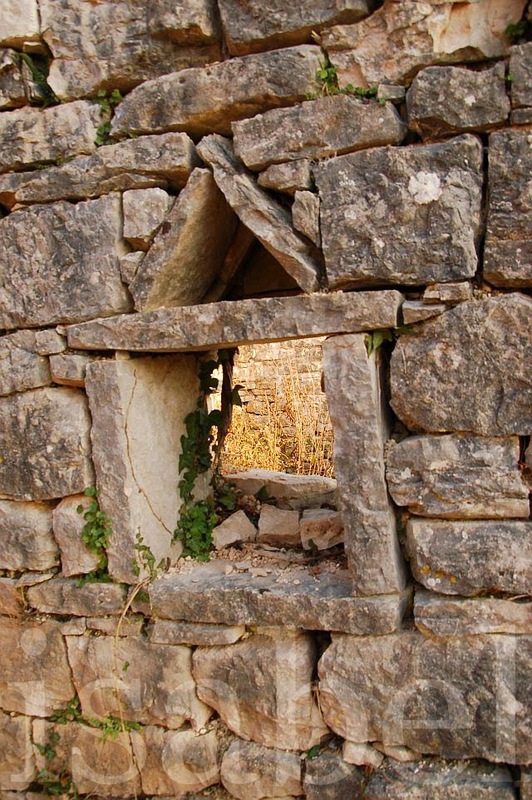 there are many such abandoned villages in Turkey too. They provide wonderful photo opportunities. 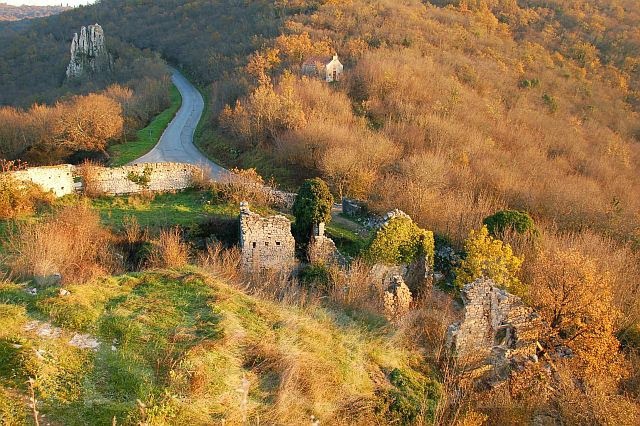 It's a shame to see these old towns abandoned, but great for you to give them a little life on the blog. I love abandoned towns like this - it is so cool to see the remnants of something that once was. I love that you explored this place! This one has been abandoned for quite some time but amazing that any structures still remain. very awesome! The stone ruins tell such many stories! Thanks gor sharing the pictures.